This plan is only available in 20 telecom circles where the telco is operating. 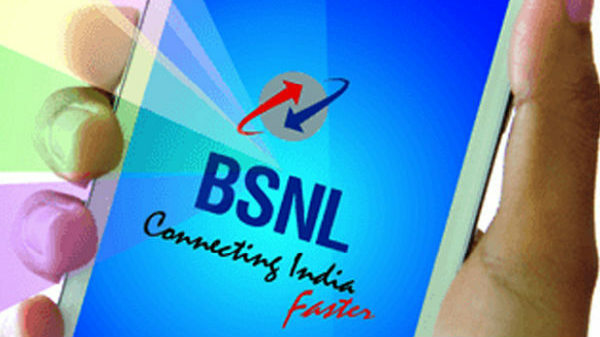 State-run telecom operator Bharat Sanchar Nigam Limited (BSNL), has come up with another plan prepaid plan of Rs 78 under which the company is offering 20GB data. Apart from 20GB data users will get unlimited voice calling, video calling which can be activated by sending an SMS to 123 as 'STV COMBO78', according to a report in Telecomtalk. However, there is catch as this plan is only available in 20 telecom circles where the telco is operating. For the unaware, the company has launched two plans for Rs. 1699/ and Rs. 2099/ on the occasion of Diwali for its prepaid mobile customers. Both new annual plans offer benefits such as unlimited voice calls, data SMS & Personalized Ring Back Tone (PRBT) for 365 days. The Rs. 1699/ plan offers unlimited Data (FUP 2GB/day) calls in home LSA and roaming including Mumbai & Delhi, SMS & PRBT with the validity of 365 days. While Rs. 2099/ plan provides 1460 GB data voice calls in home LSA and roaming including Mumbai and Delhi. To recall, BSNL and Finnish telecom gear maker Nokia has signed Memorandum of Understanding (MoU) to explore opportunities in the public safety space. Under the agreement, Nokia will become BSNL's Original Equipment Manufacturer (OEM) technology partner for public safety projects. The collaboration will assist in advancing public safety standards in the country and supports the Indian government's Smart Cities Mission, Nokia said. Both Nokia and BSNL will explore public safety opportunities for various industry segments including Smart City deployment, border-related activities, and mines and quarries in remote areas with limited connectivity.